Modern Education – Scholastic Testing Service, Inc.
Want to learn more about scoring the Torrance Tests of Creative Thinking (TTCT) Verbal or Figural tests yourself? The Torrance Center for Creativity and Talent Development at the University of Georgia offers training for scoring the Torrance Tests of Creative Thinking (TTCT) at your school as well as periodic workshops onsite at the University of Georgia. Once individuals reach mastery, they will be issued a personalized certificate of proficiency by the Torrance Center. Click here to learn about scoring the TTCT, scheduling, and prices. The fastest way to place your new students! Are you looking for a “quick” assessment to check class performance or to help with student placement for grades 2-12? 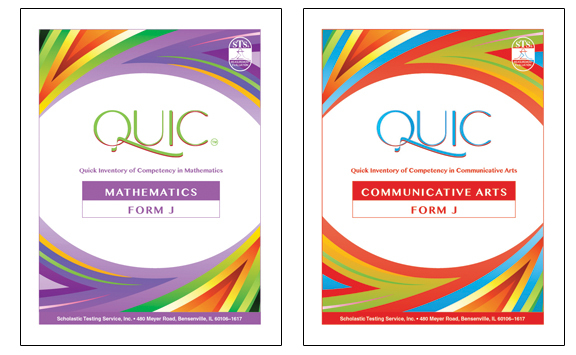 In just 35 minutes or less, the QUIC Tests provide immediate feedback in the areas of mathematics and communicative arts. QUIC Tests consist of item sets that focus on content uniquely representative of that specific grade level. The test booklets are reusable and a carbonless answer sheet is provided for students to mark their answers. When testing is complete, the teacher simply opens the answer sheet to access the answer key. QUIC Tests generate a competency-based grade equivalent and a raw score. The raw score can then be converted to a standard score in order to determine if the student is performing at, above, or below grade level. For immediate service, call our office at 1.800.642.6787 . Test preparation is a hot topic with teachers and parents because the costs of student failure seem huge. So it seems to be a good time to write about test preparation and our Torrance Tests of Creative Thinking (TTCT) ­– Thinking Creatively with Pictures and Thinking Creatively with Words. The immediate question is – should we prepare students to take a creativity test? 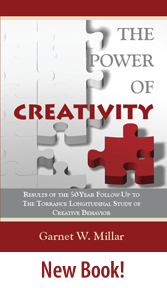 The author of the TTCT, Dr. E. Paul Torrance, believed the answer was no because test prep may help students achieve entrance into a creative class or gifted program, but preparation could not increase a student’s creativity or determine how creative they can be. We also believe that students should not be “prepped” prior to taking the TTCT for three reasons. (1) One of the features of test preparation is that students often learn about how to take a test without increasing their ability to master test content. As a result, students who participated in test prep courses might receive spuriously high test scores that will cause them to be misplaced in a program for which they are not well-suited. (2) The TTCT is a standardized test. Standardized test situations are prescribed so that all students taking the tests have the same opportunity. In other words, all students should be seeing the test for the first time, and they should all be prepared to do their best without any extra pretest help. On the TTCT, “doing their best” requires focusing on showing the examiner something creative that has never been seen or thought of before. When standardized testing is completed, prescriptive and diagnostic teaching should be used as a means to follow-up with students. In fact, we believe that any standardized test scores should be followed up with explanation and more directed teaching. (3) When people ask us for test prep materials, we suggest that students and parents review the student’s current test scores and identify areas for improvement. Based on this review, students can focus on acquiring educational materials that will help them succeed in areas where they currently struggle. This kind of preparation will help students become better students not just better test-takers. For more information on the TTCT, visit our website www.ststesting.com. At Scholastic Testing Service, we realize that testing is an issue of great concern to most parents. From September to March every year, we receive inquiries from parents of students who are about to, or have already taken the High School Placement Test (HSPT®). Generally, the issues of greatest concern are test preparation and scoring. The following links provide additional information on those topics. You can also ask a question in the form of a comment here, and we will get back to you. Are you seeking a new readiness test? Schools may find that STS’ Kindergarten Readiness Test (KRT) and School Readiness Test (SRT) are good substitutes for the Metropolitan Achievement and Readiness Test. With the retirement of the Metropolitan Achievement and Readiness Tests, we have received numerous calls from educators searching for replacement assessments. We are excited to advise each caller (and often hear a sign of relief in return), that Scholastic Testing Service (STS) offers three assessment tools that will effortlessly replace existing testing programs, provide efficient and reliable score reporting, and integrate seamlessly with current administration procedures and testing windows. The Educational Development Series (EDSeries) is a standardized test battery that provides the most comprehensive coverage of all STS instruments. Featuring a total of nine skill areas, the EDSeries provides fast and useful score reporting, local and national norms, normal curve equivalents and a cognitive skills quotient. 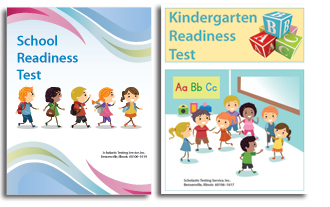 The newly revised Kindergarten Readiness Test (KRT) and School Readiness Test (SRT) are effective tools for determining a student’s readiness for beginning kindergarten and first grade respectively. Both KRT and SRT levels of readiness are related to national percentiles and stanines, allowing educators to learn as much as possible about individual student ability as well as group performance. For more information, educational professionals can request preview copies (below) of KRT, SRT and EDSeries. The Scholastic Testing Service family is mourning the recent loss of Dr. John D. Kauffman. John began his journey at STS in 1974 and was serving most recently as our Vice-President of Marketing. During his time at STS, his efforts helped products like the Torrance Tests of Creative Thinking and the High School Placement Test become bestsellers. John was known nationally and abroad as an advocate for gifted education and an expert in creativity assessments. He tirelessly promoted the Torrance Tests by co-sponsoring creative competitions; engaging in long-term research studies; and teaching scoring workshops. 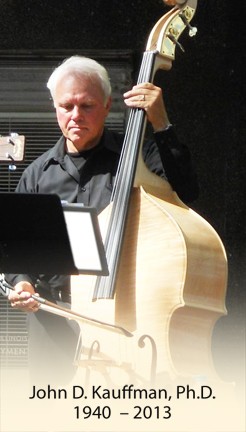 John’s scoring workshops were always in great demand because he knew how to combine his expertise and sense of humor to insure that his sessions were as much fun as his whimsical neckties. John also had great relationships with the administrators and admissions directors who used HSPT. He loved to travel across the country to meet personally with administrators, and was always responsive to their needs and concerns. Dr. Kauffman will no longer be answering the phones here at Scholastic Testing Service. But his presence will remain with us. In his honor, we will continue our commitment to gifted education and assessments, and every customer will receive the personal service that he insisted upon.